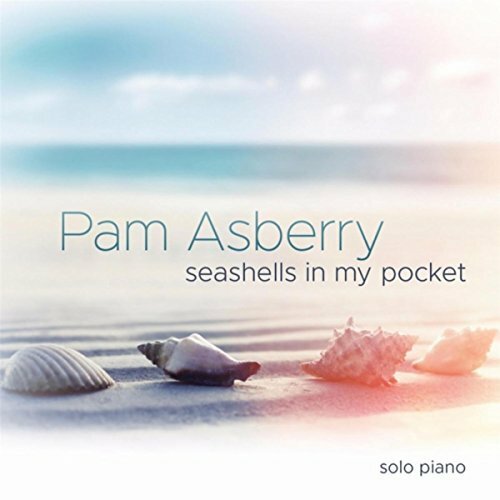 Pam Asberry is a composer and solo pianist who knew from an early age that she wanted to pursue a career in music. Classically trained from the age of seven, Asberry eventually led a church choir from organ and completed a master’s degree in music. 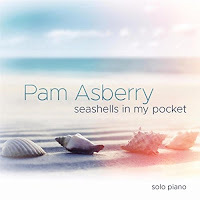 On her debut album, Seashells In My Pocket, Asberry reflects upon the many beautiful islands and coastal cities she has visited by relaying the memories of her experiences through 13 alluring solo piano instrumentals. 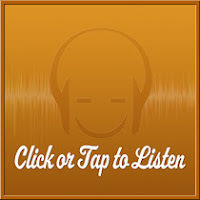 Contemporary and modern yet imbued with a definite classical touch throughout, the compositions are overall gently uplifting and major-key with occasional minor-key injections along the way. Each composition is given a picturesque name inspired by a coastal landscape or seafaring moment captured in time, with some of them seemingly drawing upon fantasy and folkloric themes via evocative titles like “Mysterious Caverns” and “The Mermaid’s Tears”. Cozumel is a Caribbean island off the eastern coast of the Yucatan Channel for which the opening piece, “Cozumel Blue Waters”, is named. Beginning in a lightly brisk manner, the piece immediately imparts a calm yet sunny mood that perfectly lends itself as the first stop on this coastal getaway. Moorea is a stunning island in the Pacific located just northwest of Tahiti and one of my favorite pieces on the album, “Moonlight Over Moorea”, aptly conveys the kind of romantic mystique that one could easily imagine an evening spent there might entail. Next, we travel all the way to the Atlantic Caribbean with “Dunn’s River Falls”, another favorite piece of mine that’s named for an enchanting waterfall located in Ocho Rios, Jamaica. Seemingly carried along by a steady and powerful undercurrent, the melody appropriately cascades up-and-down the registers in a manner expressively illustrative of the waters that flow upon the fall’s naturally terraced rock formations. The second-to-last piece, “Ocean Stars”, feels elegantly nocturnal with a notably neoclassical bent. Flowing delicately in the upper registers, the piece deftly mimics the twinkling of stars, as one might imagine themselves standing by the sea while gazing upon the night sky. The final piece, “Sailing Home”, boasts a softly sweet and simple melody that perfectly signals the conclusion of a fascinating journey, with the return to the comforts and familiarity of home soon drawing near.